Whether you are a back, stomach, or side sleeper, this pillow is perfect for you specific slumber throughout the night. 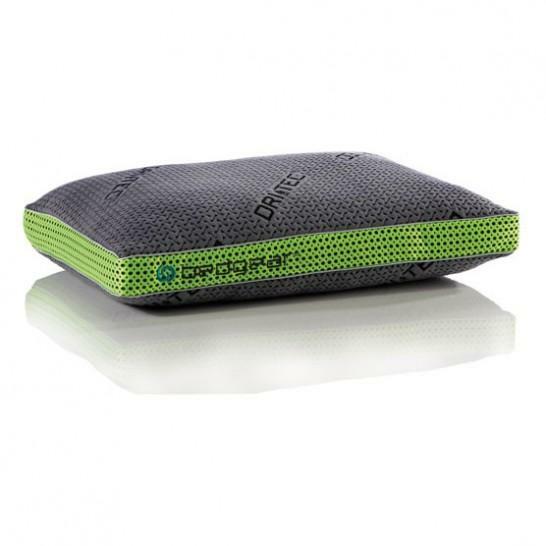 The shock absorber inner covers propel and expel moisture and heat through the Air-X™ fabric, returning cool air flow through to the sleep surface powered by Dri-Tec® surface fabric which transfers heat and moisture away from you during your peaceful slumber. Constructed with a unique custom-blended fill in a highly supportive inner baffle, this pillow is designed to create the support for any which way you prefer to sleep at night. The BG-X BG-X All Position Pillow by Bedgear at Miskelly Furniture in the Jackson, Pearl, Madison, Ridgeland, Flowood Mississippi area. Product availability may vary. Contact us for the most current availability on this product.